Being a banknote printing company Royal Joh. Enschedé recently launched a brand new service for the entertainment industry to their portfolio: MyEventNote. MyEventNote is an environmentally friendly top notch money system with unlimited marketing and promotion possibilities. MyEventNote is your trusted partner in dedicated event banknotes, high security design and print of your event money and commemorative souvenir banknotes. 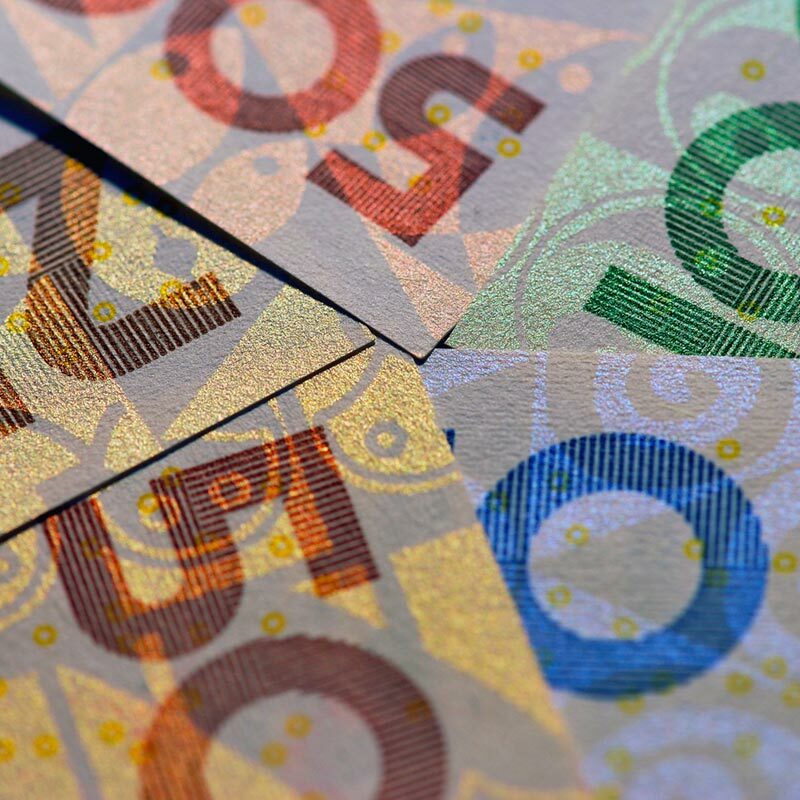 MyEventNote is a new concept for your cash payment system, bringing you high quality banknotes, printed by one of the oldest banknote security printing companies in the world. At MyEventNote we think big and have developed a new product to take your event to the next level. Your own customized environmentally friendly money with unrivalled marketing potential. TAKING CARE OF MOTHER NATURE! The world is coming to its senses and so are we, plastic waste is a huge problem. MyEventNote designed an environmentally friendly solution for cash payment on 100% cotton based high quality banknote paper. And who doesn’t want to have that stack of banknotes in his pocket to show off? Royal Joh. Enschedé is among the oldest businesses in the Netherlands. Established in 1703 and developed into a major security printing company in Haarlem. All over the world, Royal Joh. 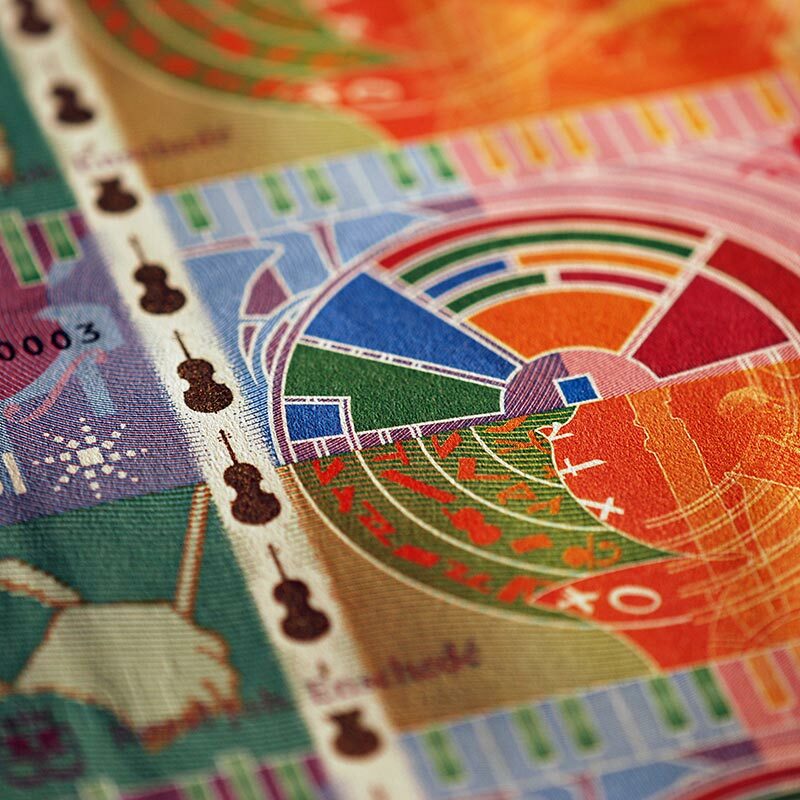 Enschedé is renowned for its appealing banknotes and stamps. Driven by particular attention to detail and technical expertise, Royal Joh. Enschedé is the specialist in secure highly trustworthy printed products and related services. Taking its expertise to the next level with MyEventNote. Our graphics design department is at your service, drawing the hottest custom secure banknote for your event. Update your banknote with the latest interactive and marketing features, virtual reality and games, created by our digital design team. Let your event come alive and make it one to remember! Our MyEventNote Sales team is more than happy to show you the possibilities and discus the unlimited potential in marketing and the profitable business model. Reach out to us at Info@joh-enschede.nl or follow us on social media below!